The simple things in life are more than often the best and I think this also applies to recipes. Even though it is white bait season, I have not been able to locate a site near Dunedin where one could forage whitebait. 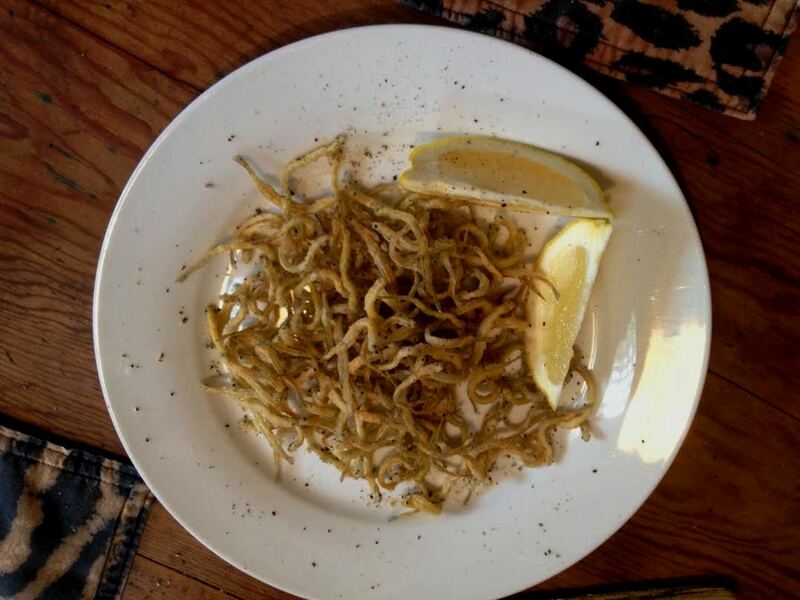 To satisfy my craving, I went to the local fresh fishmonger and was lucky to find some lovely fresh whitebait, at $120 per Kg I was hesitant to buy, but got a small portion anyway. I would be grateful if there is anybody close to Dunedin who could head me in the right direction regarding catching whitebait! Make sure the white bait is dry by patting it with kitchen paper. Make a mixture of flour, salt and black pepper, mix it well and put it in a plastic bag with the white bait. Shake well to evenly cover the bait. In the mean time heat a pan with about 50 mm deep vegetable oil to medium / high heat while you taste the wine. Separate the bait from the flour by sifting the contents of the bag. Test the heat of the the oil by placing one fish in and it should sizzle. Now put the white bait in the hot oil in not too large portions – I did about 100 g at a time. Deep fry until light gold – about one minute. Place on a paper towel to drain the excess oil and serve immediately with lemon and fresh bread – do not forget the bottle of good wine. ENJOY!